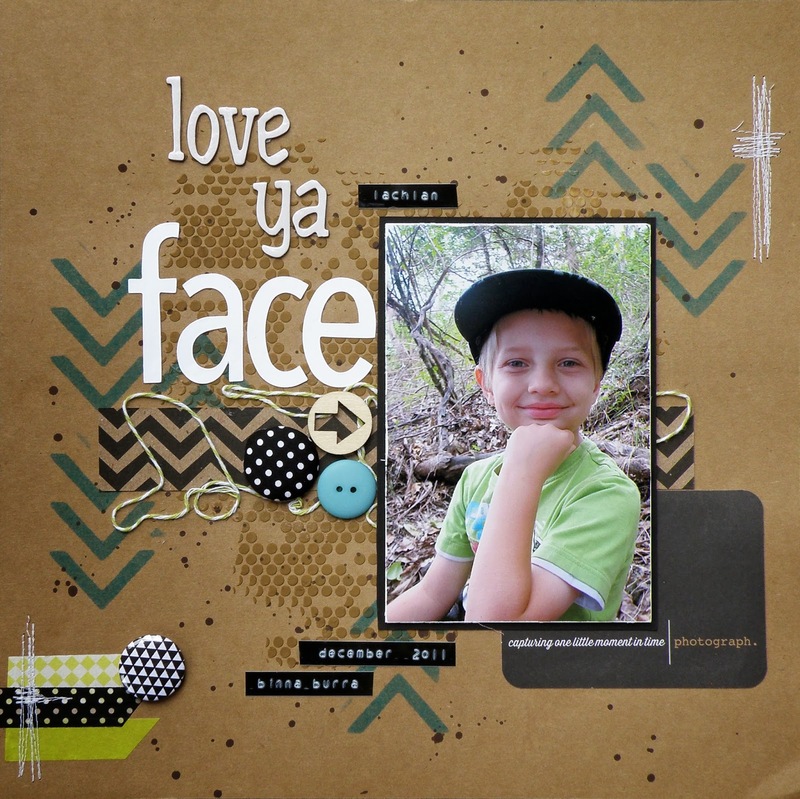 Sandy created this layout for the Show Us Your Stuff November challenge which is to use paint and wash tape, plus of course a handmade embellishment. Sandy has used a Purple Pumpkin fabric covered button (XL spotty black) and a handmade flair from D-lish Scraps for her handmade embellishments. 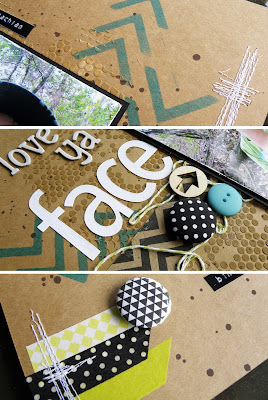 This is something really different for Sandy and I love, love, love what she has created! Thank you for letting me share this fabulous layout on my blog Sandy!!! Oh Sandy this is absolutely gorgeous!! That layout really caught my eye! Beautiful work, Sandy :) The photo is gorgeous too. Alz, I also love the layout of Bear! But you already know that. Lol! Hugs to all of you. I really like your page,great colour combination and lovely natural photo. 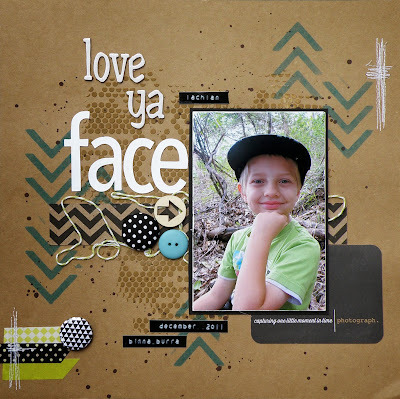 What a fab layout love it all thanks for joining in at Suys cheers.